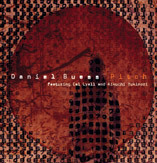 Daniel Buess explores in his solo-work the endless fields of noise and deformed percussion-sounds by the use of self designed instruments. Harsh electronics merge with powerful ritualistic drums, strange, detuned percussive strings meet dark soundscapes and crushing jolts of shockwave. Extreme frequencies and pulsating, moving sound-fields get to one big zone of organised sound. 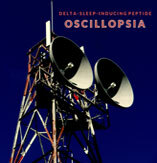 Oscillopsia marks a new direction in DSIP's discography by integrating analogue modulations and transformed rhythmic constructions interacting within the cosmic radius of the stereo-panorama. An intense and well-structured sculpture of very psychoactive atmospheres full of internal tension, dynamics and dramaturgical perspectives. Oscillopsia can be characterized as the most complex elaboration by the duo so far. "Slovenia's Extreme Smoke 57 not only recorded the most intense, unmarketable, offensive grind record of 1996, they ended up recording one of the most timeless grind records ever. This is a serious top shelf album, and should sit snug between all the Sore Throat and Sete Star Sept albums." 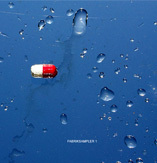 - review by Adam Jennings (Deadly Omens) about Who sold the scene? album. 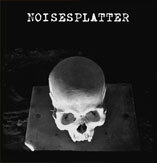 DVD video recorded at Noisefest 2013 in Ljubljana. DVD video with exclusive tracks from Yoshihiro Kikuchi (Japan), KK Null (Japan), Franck Vigroux (France), Nova deViator (Slovenia), Chris Wood (South Africa), Mutant Beatniks (UK), Vega Stereo (Russia), Velge Naturlig (Portugal), Astma (Russia), Cezary Gapik (Poland), Neven M. Agalma (Slovenia), Pharmakustik (Germany), Mike Browning (USA) and Matrix441 (Pharmafabrik). DVD video with exclusive tracks from Final (UK), PureH (Slovenia), Wo0 (Serbia), Go Tsushima (Japan), Alexei Borisov (Russia), Tania Stene (Norway), Henrik Nordvargr Björkk (Sweden), The Cherry Blues Project (Argentina), Dodecahedragraph (Slovenia), Sunao Inami (Japan) and Lull (UK). Cassette / VHS / Reel tape - drone oriented grid-landscapes and cacophonic palletes of industrial sonorousness, overall fuelled with spasmodic eruptions and convolutions of noise-paroxysma-mathema-machinationsVisual installation implements TV noise and VHS textures, tightened together with the massive building of overdrived walls of sound. 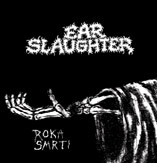 Earslaughter is a d-beat / grindcore band from Nova Gorica, Slovenia, that formed in 1993. The original lineup consisted of Boco from Extreme Smoke 57 and Simon from Pharmafabrik / Pureh / Cadlag. They both played also in other grindcore-noise-punk bands, like Patareni, DTW, etc… All songs on this EP are from 1993, re-released in 2013. 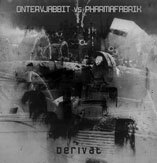 Collab work Pharmafabrik/Ontervjabbit: live recording + live performance [2012-11-09] at Ludovico Fest, Venice / Italy. Packaged in white-grey cardboard digipak with custom-made artwork. Original photos taken from abandoned coal mine with iron-artefacts. 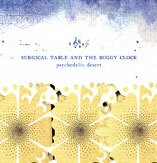 Surgical table and the buggy clock - soundscapes of ambience and noise, carefully crafted not to overdo it, but extreme enough to immediately overflow the senses and make the listener drown in a wall of pure bliss. Mutant Beatniks takes a radical approach to his work, using 'found sounds' - sometimes location recordings, other times sounds found on old tapes and videos salvaged from charity shops, and snippets of radio and TV broadcasts; to create audio sculptures and sound scape paintings. Resection, replacement and restoration of audio-fragments, simultaneous interaction of dissected voice-particles and powerful convulsive electronics form the main basis of the seven tracks on which all abscesses of harmonies, repetitive rhythmic forms and conventional structures have been completely removed. Motus deals with reflexive motions and iterative movements, variations of a particular theme encircling its undefined object, its driving impetus being the disruptive dislocability, feedbacked with subjugated ambient fissures. 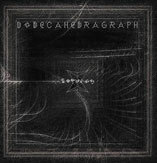 Dodecahedragraph manages to explore different texturizations of granular sounds, interwoven with symphonic and atmospheric background layers and abstractly emotional pieces. 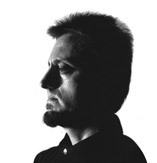 His work subliminally tunes your brain cells, adjusting them to the various frequencies, folowing the line of IDM and experimental electronica. Nuclear ambiences, molecular sound-orbitals and aneurysmic voices labeled with radioactive tracer have been combined to complex systems of resomagnetic ultrasound. Fluctuating radio-signals interacting in acoustic rooms of multiplanar imaging and industrial CT-scanning. 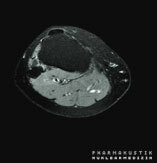 Protonic algorithms for radiologic technologists. 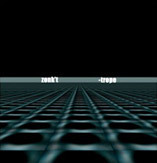 The compilation album which features exclusive tracks from KK Null (Japan), Neven M. Agalma (Slovenia), Pharmakustik (Germany), Yoshihiro Kikuchi (Japan), Franck Vigroux (France), Nova deViator (Slovenia), Chris Wood (South Africa), Mutant Beatniks (UK), Vega Stereo (Russia), NRYY (Japan), Velge Naturlig (Portugal), Astma (Russia), Analog Concept (Russia), Fabio Orsi (Italy), Cezary Gapik (Poland), Prodvkt (Italy), Mike Browning (USA), Audioworx (Slovenia) and MaCu (Austria). 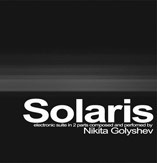 This cd isn't properly PureH new album, it is a collection of remixes of Signia, the track which opened Anadonia album. 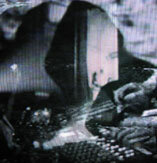 The band choose the top notch of genre's artists to remix that track: Eraldo Bernocchi, P.C.M., Chris Wood, KK Null, Dj Surgeon, Wodan, Richard Dunlap, Burp, Mo Shang and Psychedelic Desert expanded, liquified, raped the original track turning it into an ambient, industrial, dub, guitar i.d.m., experimental electronica, jazzy ambient track. DVD-video with Signia interpretations approached from various different genres such as industrial noise, isolationist ambient, dub and drum ‘n bass with heavy basslines, percussion and guitar drones as reoccurring sounds. All the footage was filmed on locations along the Soca and Hubelj river in Slovenia. Inner Workings is the newest side project of Mike Browning. Mike has been involved in bands such as Morbid Angel, Nocturnus, Incubus, After Death and Acheron since the mid 80's, but usually as a drummer and vocalist. This new project takes on a whole new direction as he uses keyboards to create alien soundscapes unlike anything ever heard before. 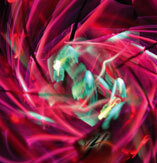 Artwork and photo manipulations by visionary artist Scott Clark. Japanese noise ambient group Psychedelic Desert bring you the dessert of electronica —blip-less, atmospheric, and eerie soundscapes. Noises collapse upon one another with minimalism well in mind. "Nap" displays elements of discordant chaos armed with a cacophony of noise, dreamscapes, pitch-shifting tones, and drones. Weird track of 30 minutes or so but well worth the journey. Go Tsushima is an improviser with guitar and electronics from Osaka, Japan. 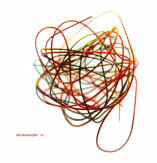 He started the improvisation band psychedelic desert in 2004 and played shows in Japan and Australia. He also collaborated with an experimental guitarist from Belgrade Wo0 and Andrea Valvini in the electronic and visual artists collective e-mixtur. A new breed of thundering grinding chaos from Slovenia. A new doomy progressive direction for the most downloaded Underground black metal band in Eastern Europe. Descend into abyssic delirium and a miasma of aural perversion and debauchery to utterly intoxicate and infect your total being! Heavy grinding riffs combined with manic vocals - Mozak, direct and intensive grinding metal crust from Slovenia. A must have for all grindcore fans! Slovenian electronic compilation with artists: Niomas, Neurobic, Electrosaurus, Markoman, Alex Long, Electric Boogie, Arsov, S / n, Yanosh, Kleemar, Beatmap, Aquamarine. 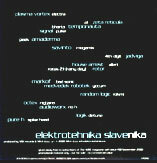 Slovenian electronic compilation with artists: Plasma Vortex, Zeta Reticula, Temponauta, Signal, Amaderma, Savinto, Jadviga, Rotor, Markof, Random Logic, Octex, Audioworx, Logik, Pure H.
Deeper Than World (D.T.W. 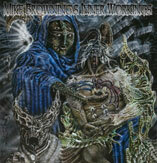 ), Vulvathrone, Sarcasm, Mortifixion, Kaoz, Obnounce, Scaffold and others. 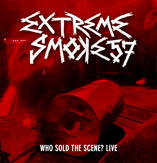 EXTREME SMOKE - WHO SOLD THE SCENE? 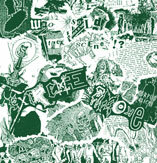 In 1994 two of the Extreme Smoke members formed up with a Pure-H member and a drum machine to record the thirty-track ‘Who Sold the Scene’ EP, which wouldn’t get released until 2005. This record could almost be mistaken for Sore Throat’s ‘Disgrace to the Corpse of Sid’, which it was recorded as a tribute to. Extreme noise "death breakbeat" mayhem from Italy, 11 tracks of digital brutality, cheap handmade cover but this breaths a true and powerful underground spirit that will make your ears bleed! 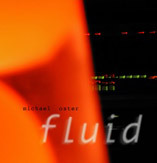 Years before he came up with "the Difficult Listening Channel" podcast, Michael Oster created "Fluid". For this, his first CD-length music release, he took a 14 second sound clip and sculpted it into 54 minutes of epic, evolving ambiences and flowing soundscapes. Fluid begins with simple droplets of water - then effortlessly moves you into a lush new sonic world. Grab your headphones and enjoy the trip. The debut CD album of one of the most promising russian underground musician, presenting his own unique vision of ambient music. Combining the deep layers of machine-like hum and minimal melodic keys, Nikita creates highly emotional and dramatic journey to the netherworld. 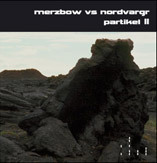 Two parts of this one hour long suite are the partly presented in the program of Add Noise II festival on May 15th, 2007. Extra-ordinary, mystic journey into musical world of these two long-running, legendary french projects. This album was composed from the old, but also completely new material (1986-2007), it includes both studio and live recordings, re-arranged and reworked for your listening pleasure. The first ever Vox Populi! CD after many vinyls and tapes produced in 80-90s. Acoustics and electronics, lyricism and dramatics, traditions and avantgarde. 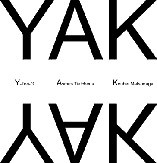 Concrete sounds and abstract constructions, endlessly recycled and digitally treated - the new album by Asmus Tietchens, Kouhei Matsunaga and Y-Ton-G is bearing the idea of total remix work. Following the great tradition of mail-collaborations, this german-japanese trio recorded the new series of experimental music studies. 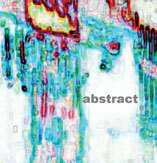 Anthology of rare and previously unreleased tracks by Arcane Device, recorded within the 20 years. It is divided into two parts. 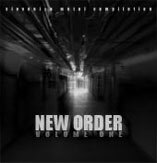 The first one consists of tracks from compilations issued by Subterranean Records, Tragic Figures, SFCR Tapes, and Generations Unlimited, but also unreleased material remastered and/or remixed in 2007. The second one is subtitled as "Feedback symphony" and based on various recordings, presented in four movements and finished in 2007. The remastered version of classic material recorded back in 80s, next to postindustrial aesthetics priority in electronic music. Rigorous and austere, ascetic but dynamic, this music rearranges everyday being into mindchallenging imagination, reserving the leading parts for the habitual processes and domestic objects. From the deep underground of Spanish industrial music, it comes to be rediscovered after 15 years. The compilation with russian artists: A com, Kolpakopf, Bardoseneticcube, Exit In Grey, Cisfinitum, Instant Movie, Combinations, Hum, CD-R, Interior Disposition, Alexey Borisov, Kryptogen, Rundfunk, Moscow Laptop Orchestra, Noises Of Russia. 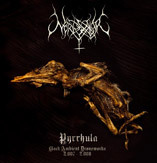 Partly based on an old Swedish folktale, Pyrrhula ("doomlord") is a pitch black journey into utter darkness. This is a tale of foreboding doom... a portent of dark times to come... a blight on the face of this earth. These eight Black Ambient / Doom / Droneworks were brought forth from the abyss of Villa Bohult exclusively for Cold Spring and contain the malevolent vocals of Lord Nordvargr himself. 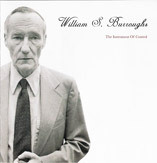 Collection of rare recordings of William Burroughs in conversation and readings from the 1970s/80s. This is an essential insight into the mind and writings of arguably the most influential writer from the Beat generation. "Through his mordant satire of cultural aspirations, homosexual eroticism and political power, Burroughs focuses our gaze into the abyss. His cold, surgical language creates beauty through a terror that we are just able to bear". 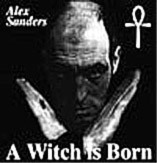 Alex Sanders (1926-1988) - "the King of the Witches" - was the most powerful witch in Britain. Here, for the first time, he presents a full recording of the solemn initiation of a new member into the ancient Craft. Assisting him is his wife and High Priestess, Maxine, and a coven of their young witches. Alex himself is a hereditary witch; he was initiated by his grandmother when he was seven years old. This record is such a signpost. 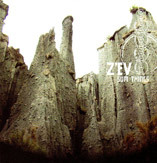 In the fall of 2005 Z’EV began dipping deep into his archives and selecting recordings to produce sum things / a possible form for cold dark matter, a project reflecting his take on the dark ambience genre. 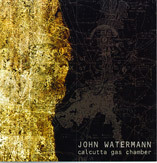 Composed between December 2005 and March 2006, these 6 pieces endeavour to transport the listener deep into their long forgotten memories of the primal forces at the dawn of creation. 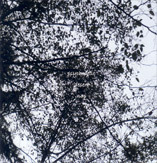 Debut CD from the masters of Black Ambient, available again after 6 years! 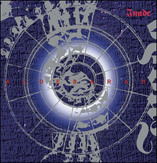 "Aldebaran" is the black sun of the secret knowledge. This work focuses on the German Vril society myths of 'Aldebaran', from which universal spirituality is said to originate. One hour of immense walls of dark, brooding atmospherics, pulsating anthems of the universal power, mixed with themes of heritage and history. 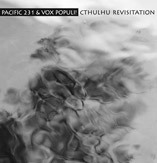 The ultimate document of deep and cavernous dark ambient. 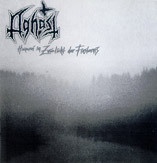 Aghast was a project by Nebelhexe (who went on to form Hagalaz Runedance) and Tania Stene - Nacht. 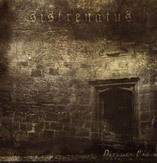 Their one and only album "Hexerei Im Zwielicht Der Finsternis" was originally released in 1994 (Cold Meat Industry) and is real dark and gloomy ambient, played in a classical darkwave vein. Hear gods cry and angels fall. Listen to the horror and beauty. Let Aghast bewitch you! 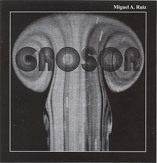 Russian reissue in a digipak. Created for Alban Richard’s choreographic show of the same name, “as far as” -slightly modified for its release on CD - is a sound structure built on classical music samples, off beat loops, collages, quotations. “As far as” is a work where emotion prevails on abstraction, a long heady, cinematic development, a play on volumes and contrasts like hesitating between total anguish and peaceful contemplation. 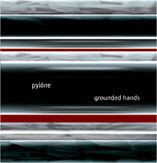 After Black Grains, Pylone’s second album goes on developing micro sounds in closed environments. Grounded Hand is a mass in disarray, a collage of cracking and clicking sounds, clinical minimal repetitive heartbeat inviting listeners to follow its author through an experience of granular meditation, a dive into crunching, vibrating sound material. If the first part is made of harsh abstract compositions, the second part opens up to space, to cinematic, contemplative atmospheres. The general feel of the album, different from his previous works, moves away from the dark industrial musicality, to lend it a more abstract, brighter and futuristic tonality, but still keeping its clinical cold effect. The compositions stay very precise, rather minimal, opening up more and more to bring out the texture and the topography of the sound without losing its continuous flow. 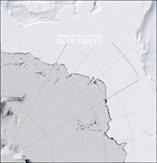 Ultra deep, glacial Dark Ambient, based around Antarctic co-ordinates. The polar regions are awe-inspiring environments of inhospitable minimalism, and at the same time there's a beautiful serenity to be found in their uncharted bleakness. There's a powerful purity and a timelessness to be found there; snow which has lain un-trampled for millennia and ice which formed eons ago; mountain ranges and deserts and rivers to be found if you look. The second part of the Partikel trilogy is finally here! Another beautifully constructed collaboration from the two noise giants - Japanoise King Masami Akita (aka Merzbow) and Swedish Lord Henrik Nordvargr Björkk (MZ.412, Folkstorm, Toroidh etc). 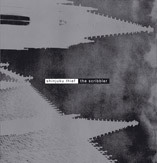 The styles on 'Partikel II' range from total noise barrages to more subtle dark ambient pieces. Essential! Presented in a luxurious matt laminate digipack. 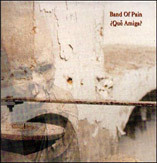 BAND OF PAIN - ?QUÉ AMIGA? 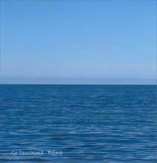 This is the fifth album proper from England's finest cinematic composer. Melancholic dark ambient soundtracks of the highest calibre - intense passages and bleak anthems in a constant flux. 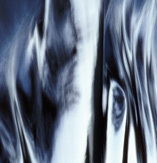 Dark emotions are captured with a Neoclassical-edged intensity. Possibly the finest work from Band Of Pain to date. Reissue of the massive Death Industrial album from this ARCHON SATANI side-project, originally issued by Staalplaat in 1993. 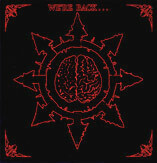 INANNA were at the forefront of a new force in Doom Ambiance way back in the early '90s. 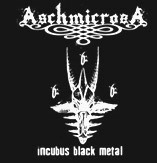 This stunningly remastered and repackaged album brings alive one of the classic scene albums - a milestone in ultra grim and crushing death sonics, that paved the way for many Drone and Ritual Industrial bands around today. Mixed by J Havukainen. 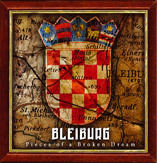 Over the years many bands from the Industrial / Neofolk spectrum have collaborated with Croatian artist Bleiburg. 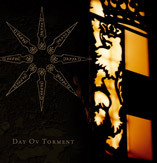 Features such renowned international artists as: Amir Baghiri, Aube, Cawatana, Cellar Of Rats (ex-Kerovnian), Harvest Rain, Larrnakh, Lonsai Maikov, Nocturne, Obscure Resistance, Project Toth, The Soil Bleeds Black, Telepherique, Thorn Agram and Vidna Obmana. 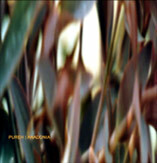 Reissue of the 1992 classic by this Australian genius, originally released in an edition of 500 copies. Occasional bursts of factory noise, industrial rumblings and disembodied German voices form the backdrop to a minimalist reworking of Kafka's "The Trial." 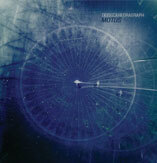 An album of dense filmic atmospheres and orchestral instrumentation. 'The Scribbler' has been digitally remastered and is enhanced with a series of video clips constructed by Richard Grant (I+T=R). Hailing from the Siberian land of Irkutsk, Russia, Necropolis came to Cold Spring's attention when they released the extremely limited (85 only) CDR "Necrosphere" - the soundtrack to the author's dreams and based on field recordings made in Taiga and disused military missile shafts. Cold Spring is reissuing this immense Dark Ambient creation - remastered with brand new, stunning artwork and an extra 14-minute long track. 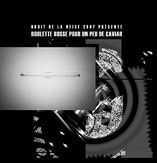 Powerful debut of the Canadian noise project. 'Division One' is harsher and more bombastic than Harlow MacFarlane's now defunct project Funerary Call. A true onslaught of Black Ambient, Power Noise and Death Industrial. The idea for this project came about after a visit to Calcutta in 1990, and through the nightmarish experiences during that short visit. 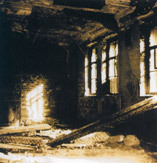 The concept of aurally conveying the horror of a gas chamber was realised through field recordings in an abandoned electrical power station in Brisbane in 1992. 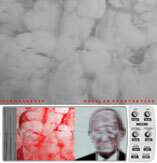 The sounds are grating and harsh, a mixture of field recordings and electronic manipulations. secure site and enter payment/shipping details.